The Ledgetop Counter has a 22 in. D recessed ledge to hold register. 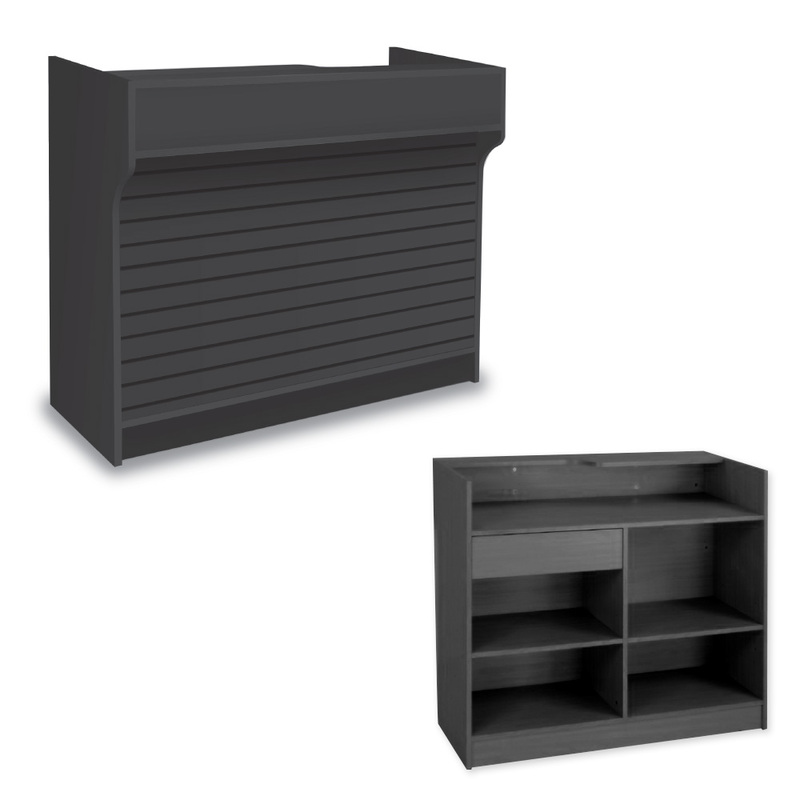 The inside of the counter has a shelf and a drawer for storage.These counters ship unassembled to reduce the cost of shipping. The Versatile Ledgetop Counter display features a slatwall front which is can be used with peg hooks, acrylic shelves or any other slatwall accessory to display impulse items. Ships assembled.